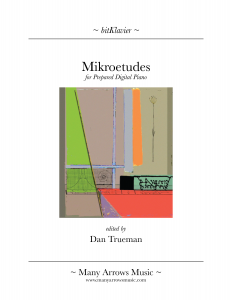 The first, the Mikroetudes, is a collection of short pieces by a diverse set of composers, inspired by Bartók’s Mikrokosmos, and ranging from easy to quite challenging. The composers include: N. Cameron Britt, Gideon Broshy, Caitlin Cawley, Seth Cluett, Quinn Collins, Lainie Fefferman, Brooks Frederickson, Louise Fristensky, Nick Joliat, Nate May, Andrea Mazzariello, Van Stiefel, Dan Trueman, and Jennifer Trueman. Learn more about them here. The volume, which includes 24 mikroetudes, is available both in print and pdf. 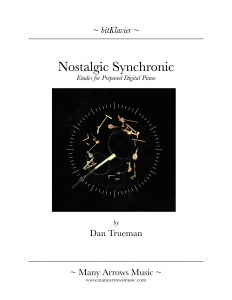 The second is the Nostalgic Synchronic Etudes, by Dan Trueman. These eight etudes range from reasonable to super challenging; some have been played by high school students, others remain challenging for pros. 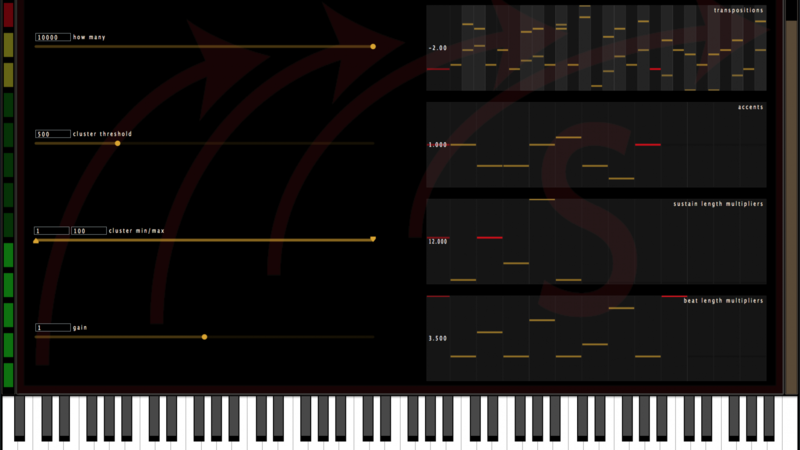 You can hear all of these, in a recording by Adam Sliwinski, and watch several of them on the bitKlavier “In Action” page. Also, learn more about them here. The volume is available both in print and pdf. Dan has also used bitKlavier in several of his new chamber works, including Olagón (for Eighth Blackbird and Iarla Ó Lionáird), Songs That Are Hard to Sing (So Percussion and the JACK Quartet), Marbles (the Crash Ensemble), and A Palimpsest (a micro concerto for alto saxophone and percussion ensemble).